Gene fusion is a key factor in sarcomas, lymphomas, leukemias and so on. In order to help biologist to discover the target of the treatment, we developed VFP to predict gene-fusion from single-end RNA-sequencing reads. 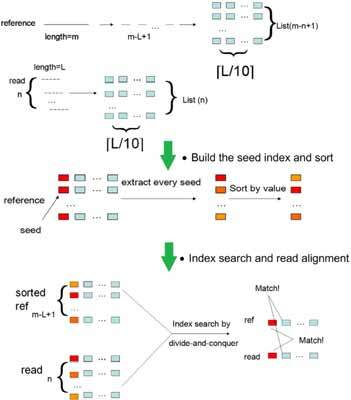 VFP employs seed index strategy and octal encoding operations for sequence alignments. By using several rules to score and filter the potential fusion genes, VFP could detect known and novel fusions through a series of tests on lymphoma and melanoma RNA-sequencing datasets. Gene, fusion, algorithm, next generation sequencing.